Vegetable oil is a triglyceride extracted from a plant. In terms of consumption as a food product, vegetable oils are seen as the healthier alternative as they contain more unsaturated fatty acids than animal fats. Sell vegetable oil on Export Portal, get the best deals and constant profit on international level. Buy vegetable oil on Export Portal, not a simple trade platform, but a secure, profitable and trustworthy eCommerce portal for international trading and B2B. Oils extracted from plants have been used since ancient times and in many cultures. Many vegetable oils are consumed directly, or indirectly as ingredients in food – a role that they share with some animal fats, including butter, ghee, lard, and Schmaltz. Many vegetable oils are used to make soap, skin products, candles, perfumes and fragrances as well as other personal care and makeup products. Some oils are particularly suitable as drying oils, and are used in making paints, dyes, ink and other wood treatment products. Dammar oil (a mixture of linseed oil and dammar resin) is used almost exclusively in treating the hulls of wooden boats. 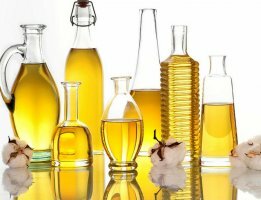 Vegetable oils are increasingly being used in the electrical industry as insulators as vegetable oils are not toxic to the environment, biodegradable if spilled and have high flash and fire points. Join us now, buy and sell fats and oils, expand your export and import businesses, build up strong partnerships! On Export Portal you can choose the best seller or manufacturer, who are going to serve you a range which stands up to your quality expectations.